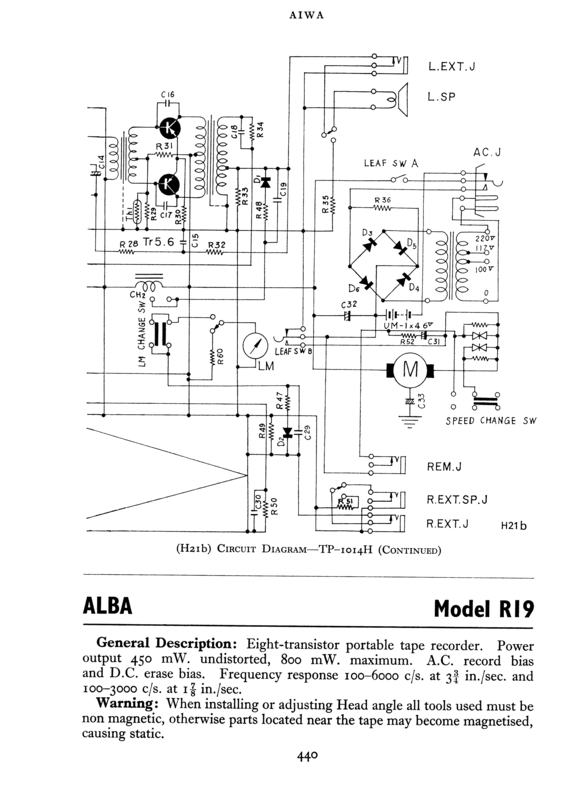 Antique Radio Forums • View topic - AIWA TP-1014 schematic anyone? 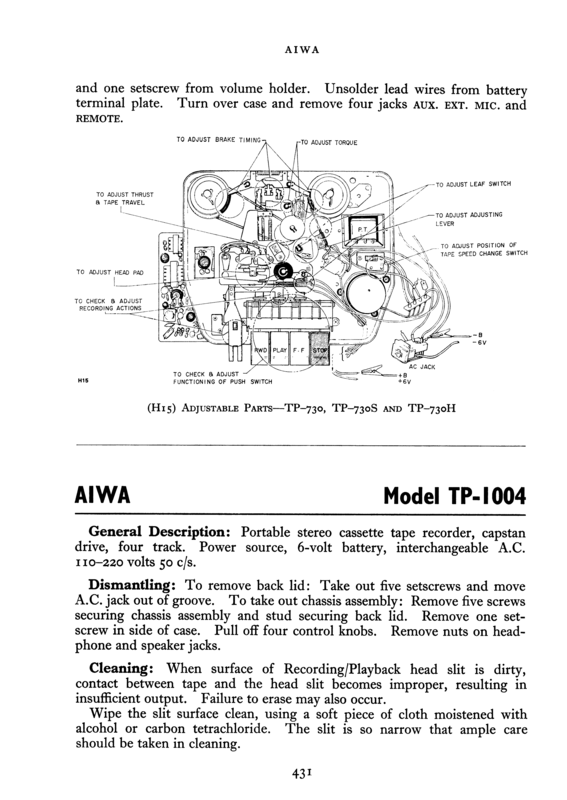 Post subject: AIWA TP-1014 schematic anyone? I got one of these tape recorders cheap and it doesn't work. 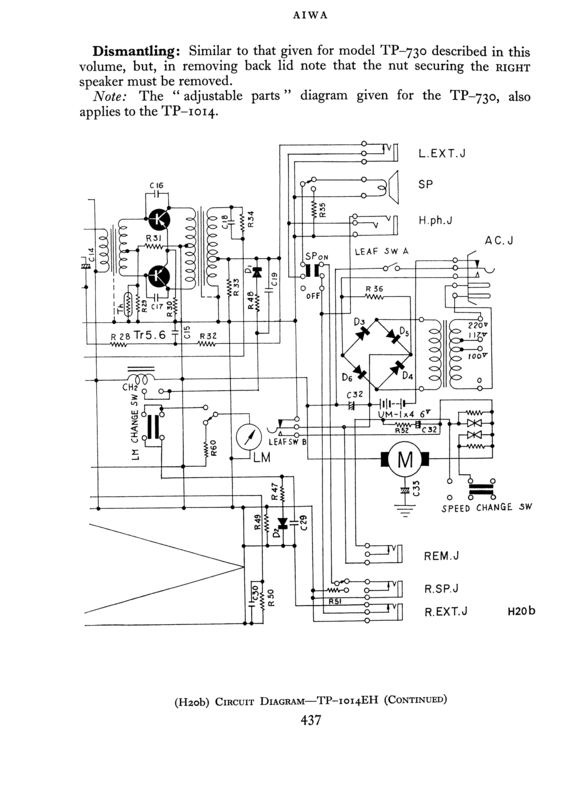 Does anyone has schematic perhaps? It's supposed to be made around '68-70. 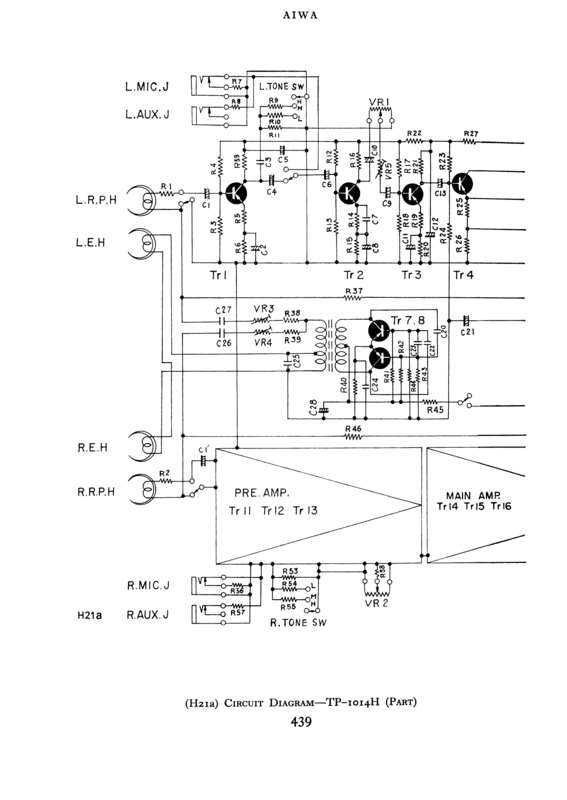 Post subject: Re: AIWA TP-1014 schematic anyone? I will scan the five pages and post them tomorrow afternoon. Save these images to your computer. To remove back lid: Take out four setscrews and pull A.C. input jack down and out. 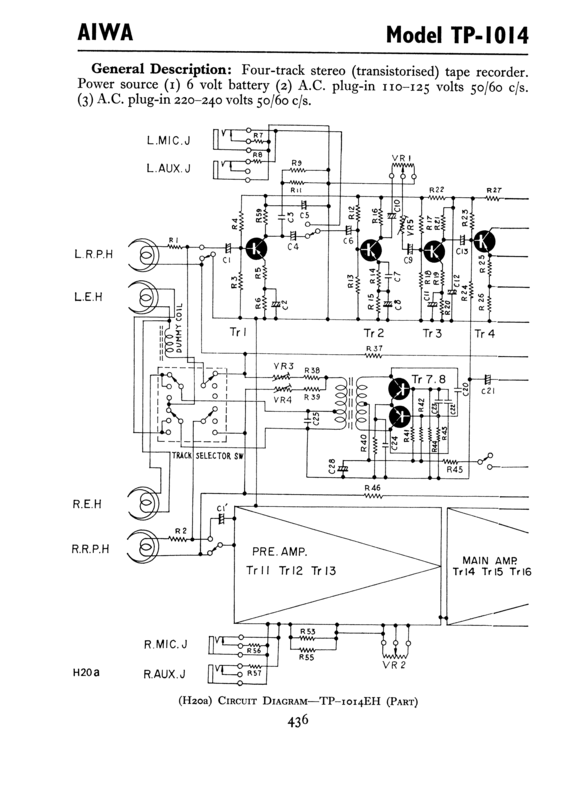 Remove two setscrews securing selector switch - TP-730H only. To remove chassis assembly: Remove five setscrews and one bind screw. Remove two stetscrews from switch holder, and one setscrew from volume holder. Unsolder lead wires from battery terminal plate. 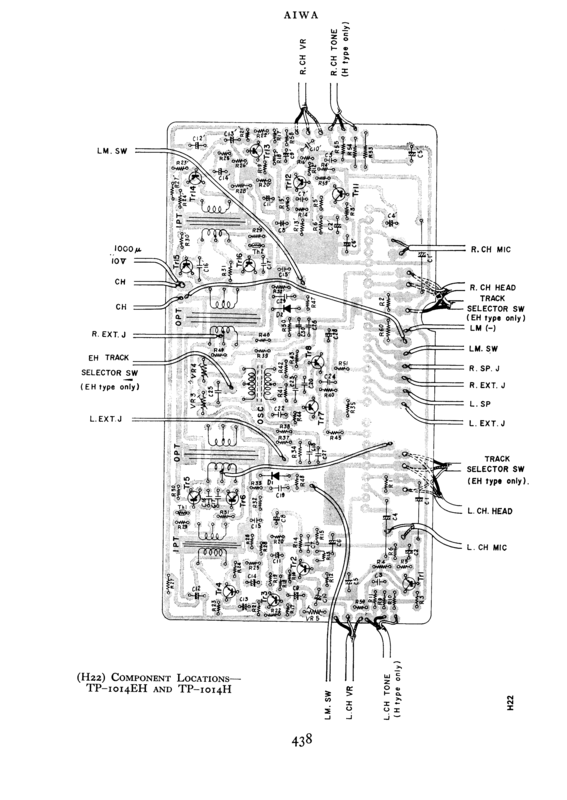 Turn over case and remove four jacks AUX. EXT. MIC. and REMOTE. Wow, this is great. Thank you very much for the effort.